If you are looking for a new treasure hunting metal detector, the Bounty Hunter Gold Digger metal detector might be the one for you. 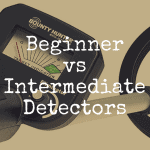 This detector is great for both beginners and those with experience. Like any product, there are pros and cons to using the gold digger, which we will explore in this review. The Bounty Hunter Gold Digger is very lightweight and you can take it anywhere. You can use it in your own backyard or take it to the beach without any adjustments and it has automatic ground balance tuning so you won’t have to change any settings as you look for treasures. All metal mode lets you look for any type of metal. A discrimination mode lets you search for only the metals you want to find. A trash eliminator setting makes sure you don’t get a tone for every aluminum can you might scan across. It can find little objects up to six inches deep. For larger objects, you can find them up to two feet deep. It also has fully adjustable sensitivity and power controls. The unit is adjustable for your comfort as you search. It has a 7” wide search coil that is also waterproof. The Gold Digger can be fun for your entire family. Because it is so easy to use and lightweight, even children will be able to join the fun. Many enjoy using their metal detector on the beach and this one is perfect for beach combing. It is not, however, a metal detector that you can use for diving. If you plan on diving and searching, you will need to choose another model from Bounty Hunter. 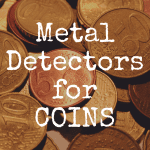 You can use this metal detector for searching for coins, relics, any metal item, silver and gold. 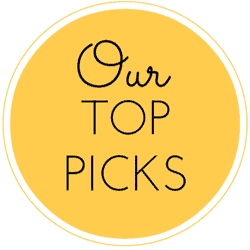 That’s why it is so popular – you can use it for anything you may want to find. Headphones are part of the package so you can have ultimate privacy when you are treasure hunting. Another great feature of the Bounty Hunter Gold Digger is the price. Most of the time, you can purchase this amazing metal detector for around $100 so you can start searching without emptying your wallet. With such a reasonable price, you can also be a little more relaxed when the children want to try finding treasures in your backyard. It only has a limited warranty for a year. The LCD display is easy to see and understand. It has five notch discriminations, which offer you the opportunity to “notch” objects in so you can find them or out so they can be ignored. You will have to assemble the Bounty Hunter Gold Digger, however, but no tools are needed and it is a simple job. You will be searching for metals soon after opening the box. If you intend this to be a serious hobby, and one you want to make money with, this may not be the metal detector for you. It is a great unit, but the next price up (around $200) has a few more features that could save you a lot of time and effort if all you want is the “good” stuff. For anyone just wanting to have fun and spend time outside, this is the perfect metal detector for you. 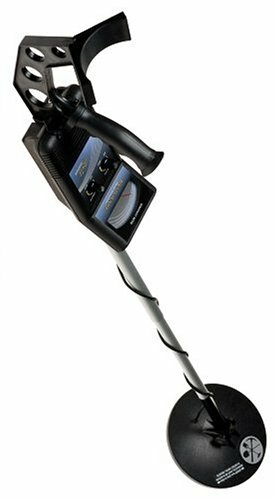 Another metal detector from Bounty Hunter you may want to check out is the Bounty Hunter Tracker IV. The Bounty Hunter Tracker IV is within the same price range (of about $100) as the Gold Digger. 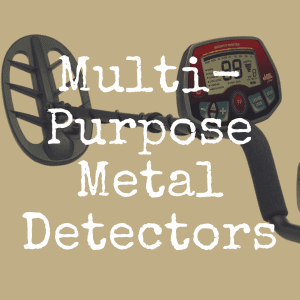 This makes it another great option for beginners, but even those who have upgraded to a fancier metal detector often keep this detector handy for unexpected places to search. This metal detector has three modes – all metal, full discrimination and tone discrimination – just like the Gold Digger. The Tracker IV has a larger coil that is waterproof but cannot be used for diving searches. Automatic ground balancing is another important feature. It is a little heavier than the Gold Digger, but it is still lightweight and very sturdy. It only has two knobs for you to worry about. One is for sensitivity and the other is for discrimination levels. This model does not have an LCD display, but instead has a scale and needle to show when you are near a metal object. Both of these models have three modes and can be set to find just what you are looking for. However, the Gold Digger has the notching ability that can be so important when you want to avoid finding areas of small metal junk, such as aluminum cans or soda can pull tabs. The Gold Digger also has the trash elimination setting to save you a lot of time and effort digging only to find something someone should have thrown in the trash years ago. If you do find trash, save fellow hunters time (and the environment) by tossing it into a trash can. Note: You can read our review of the Bounty Hunter Tracker IV here. While either of these Bounty Hunter metal detectors would be a great option for you, the Gold Digger does have a few more features that you may want. If you prefer an LCD screen instead of the older-looking scale, the Gold Digger is the one you want. For some people, the LCD is confusing, but after a few hunts, you will be able to easily see what your tones are coming from. The Gold Digger is a little lighter, but not enough to make much difference to most people. The Gold Digger has a slightly smaller coil, but both are waterproof and can be used near water without changing any settings. Automatic ground balancing is available on both units and this is very important, especially to beginners. The Tracker IV looks simpler to use since it only has the two dials, but the Gold Digger is just as easy once you have learned how. Both metal detectors require simple assembly and are adjustable to fit any person who uses it. They have similar warranties and are nearly the same price. The best way to decide which of them would be best for you is to go see them. Trying to decide online by looking at pictures simply won’t work, unless you are extremely experienced and know exactly what you want. 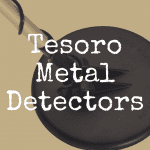 Go to a store and pick up each metal detector. Feel the weight and take a look at the screens and dials. You are sure to know which is better for you after playing with them both. 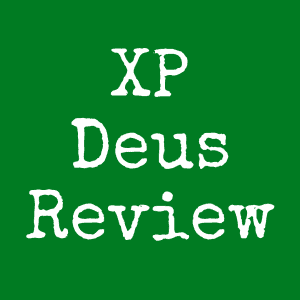 Did you enjoy reading this article? If so, please “like” our brand new Discover Detecting Facebook page! 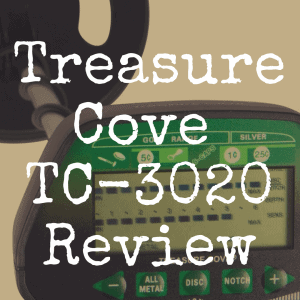 For more great metal detector reviews, be sure to return to Discover Detecting!